I am very excited to have been considered for an article about the business of portrait photography that Shutterbug Magazine is featuring in its August national print edition. 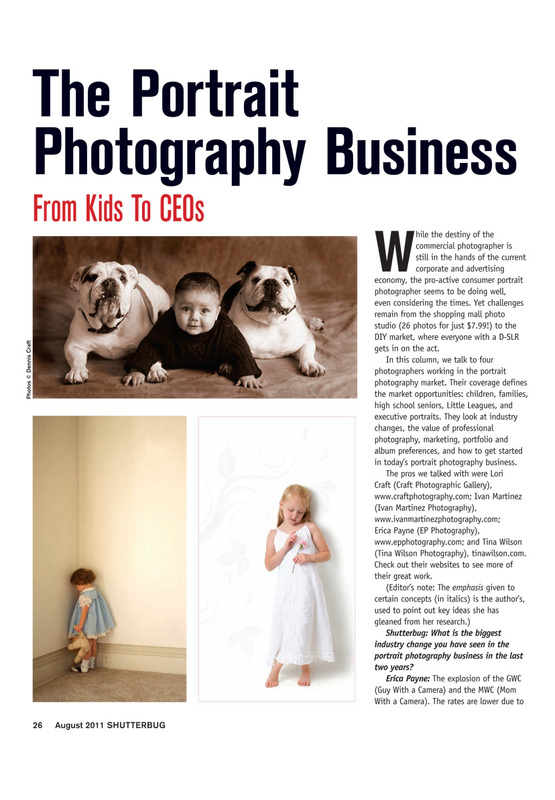 The feature was written by Maria Piscopo and it is part of their monthly column that deals with photography business trends. The article will be availble on line later this month here.